The other day we were doing some video capture for the web-site and blog. Jason tracked me down and said he wanted to do a series on Ring Training. (It’s basically bodyweight training on Olympic rings.) I said okay, let’s do it. Now as many of you probably know by now I am a strong proponent of changing up ones training on a regular basis. The truth is I incorporate body-weight work quite a bit into my training plan. 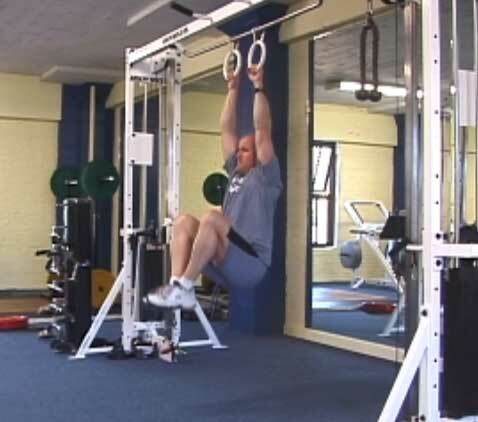 I also regularly use a tool called the TRX designed by a company called Fitness anywhere. 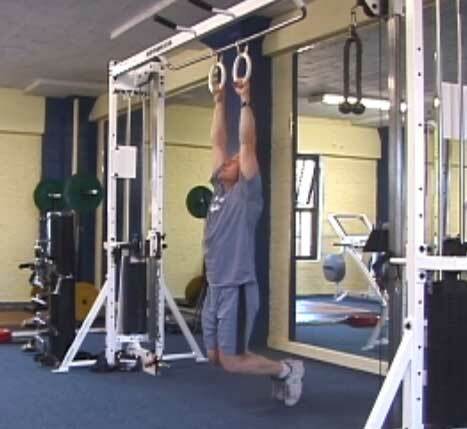 The TRX is a system of straps and handles which allows you to do a wide variety of exercises using your body weight in a less stable environment. 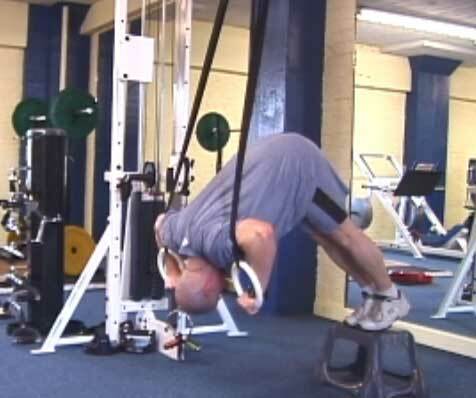 I ﬁgured that the Rings would be pretty similar to using the TRX, but I was dead wrong. Jason had a list of exercises for me to do so we set up the rings and just started banging them out. To my surprise the ring movements were quite a bit more challenging then I expected. We ﬁnished all of the movements on the list and I thought to myself this is going to take the place of my scheduled workout today. Although I only performed a few repetitions of each movement I felt like my entire body had worked multiple sets to failure. Well the next day we were off to Stockton to record some podcasts with Mike Suyematsu our director of Self-Defense and Personal Safety Training. As I sat in the car I became acutely aware of a deep soreness throughout my entire upper body especially in my chest, shoulders and abs. I stopped short of cursing Jason out, but realized how different and effective training with rings can be. We’ll post footage of the exercises on our website at www.hybridfitness.tv. In the meantime, here are a few great ones to get started with. The cool thing is you can adjust any of these exercises to your strength level, simply by modifying your position relative to the ground. The more horizontal your body, the more challenging they’ll be. The more vertical, the easier they become. Here, Liam performs the ring pushup with his feet elevated, increasing the intensity of the exercise. 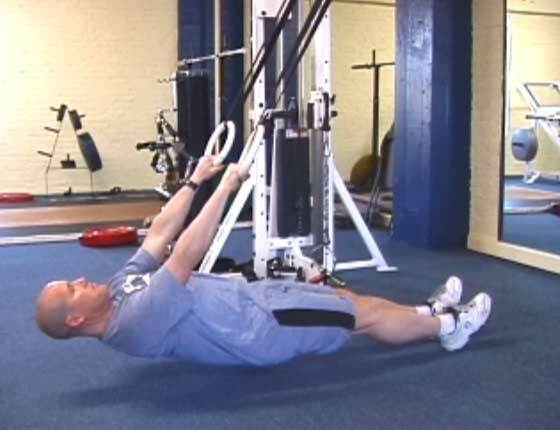 These work the chest, shoulders and arms very effectively. 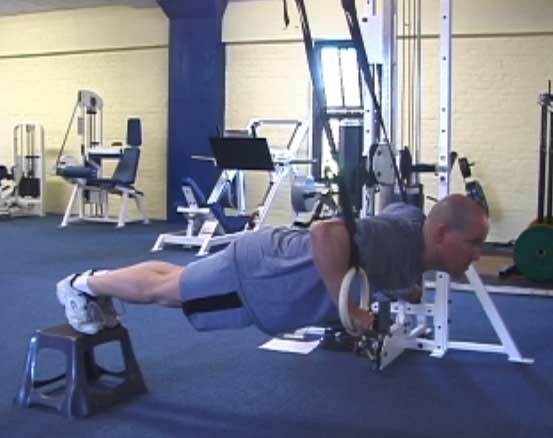 Ring rows are deceivingly challenging back exercise. Be sure to bring your body all the way up to the rings. Pause briefly, then control your decent back to the start position. Tent pushups work the shoulders very effectively, especially since you’re forced to stabilize your body through the entore range of motion. You’ll need to set the rings low and possibly stand on a small surface (as shown). 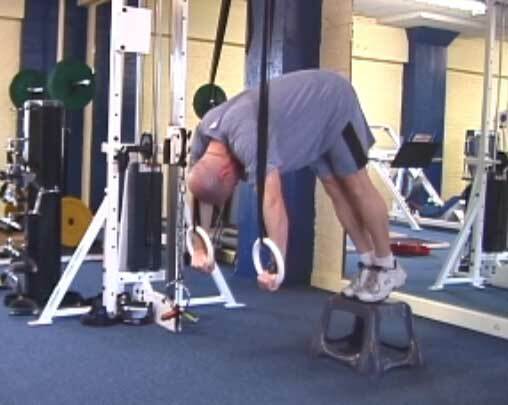 Think of these as an inverted shoulder press. 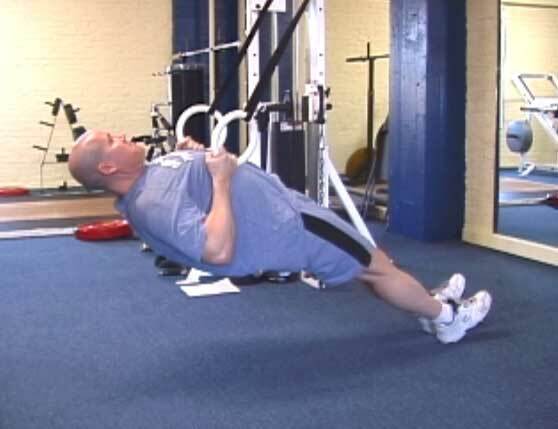 This is an outstanding abdominal exercise. Keep the knees bent and hamstrings contracted. 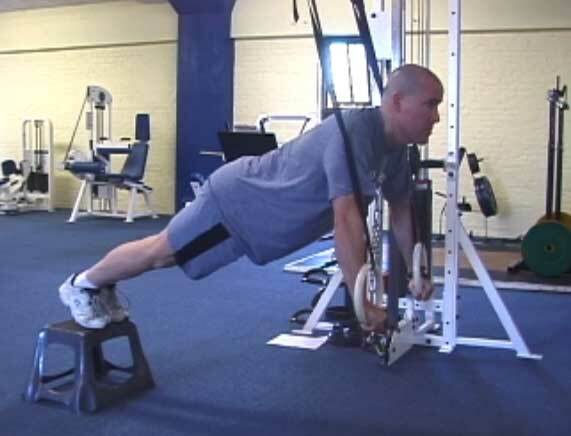 This forces the quads to fully relax, making the abs the only major mover in this exercise. As you pull the knees up, try to roll the hips up, resulting in a maximal contraction. Come down slow and begin again.